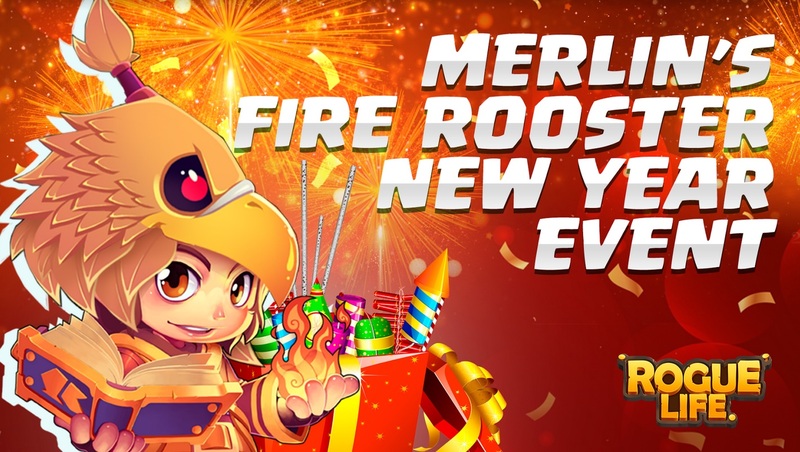 Rogue Life: Squad Goals, a free to play game developed by Hidea in South Korea and published by OnPlay, celebrates the upcoming Lunar New Year with Merlin's Fire Rooster event wherein thousands of in-game items and tons of exclusive freebies will be given away. With exciting PvP battles in store for gaming fans, Rogue Life: Squad Goals lets you live the rogue life by doing different tasks, learning new skills, and enhancing capabilities while defeating various monsters as well as evading enemy attacks. As you transfer from one stage or quest to another, you can also change their costumes, and recruit more characters to join you in the journey.